The birth of a child should be a time to celebrate, but medical malpractice can quickly result in tragedy. If you or your child were hurt in this way, explore your options for justice and compensation by consulting with a Spokane birth injury lawyer. 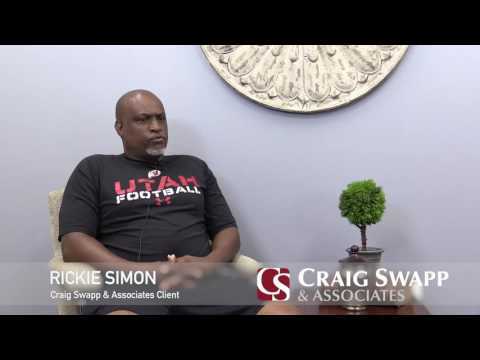 If you or your child were injured either during the birthing process or while under medical care when you were pregnant, seek justice through financial compensation with help from a Spokane birth injury lawyer from Craig Swapp & Associates. A birth injury is a traumatic experience and you deserve a settlement that covers everything you’ve been through. Your doctor is supposed to prevent injuries whenever possible and warn you of potential risks. If a healthcare provider failed to take your health as seriously as you do, you have the right to compensation. Babies are sometimes injured during pregnancy due to mothers being prescribed dangerous medications or because of a doctor failing to diagnose a complication. During the delivery itself, babies can be injured if they do not receive enough oxygen, forceps are used, they are aggressively pulled out of the birth canal, a C-section is not performed quickly enough, and during any number of other potentially dangerous situations. If your child was injured and you feel that a medical professional, drug, or hospital was to blame, call our office to speak with a Spokane birth injury lawyer. If your wife, significant other, or child died during the pregnancy or childbirth, the doctor or other medical professionals could be to blame. We can examine what happened, search for evidence, and let you know if it appears that medical malpractice was to blame. If so, we can file a wrongful death lawsuit on your family’s behalf so that you can receive financial damages and hold the guilty party accountable. It won’t bring your loved one back, but receiving financial compensation can help you protect what your family has worked so hard for. Filing a lawsuit is the best way to receive fair and full compensation. However, if the other party is willing to make a fair settlement offer, we can negotiate on your behalf. To learn more about both your options and your legal rights, call our office and speak with an experienced Spokane birth injury lawyer. We understand that this is an emotional and traumatic time, and we are here to help make the legal process as easy as possible. To schedule a free, no-obligation consultation with Craig Swapp & Associates, simply complete the form below or call 1-800-404-9000.